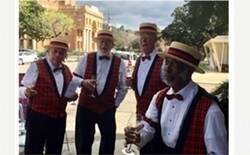 Price: Tickets will be available in front of Historic City Hall; $20; includes wine glass. The City of Atascadero and Atascadero Colony District Committee present this event. There will be 15 different wineries pouring at different locations all over downtown along with complementary tours at Historic City Hall.